The 425 incorporates all of Catalina’s hallmark features: a functional, spacious cockpit, a comfortable, carefully detailed interior, and all the 5 Series features that have redefined the Catalina brand. The deck includes twin helms on performance pedestals with pre-stretched cables. The hull features six large fixed ports recessed into the hull for lots of light and visibility. 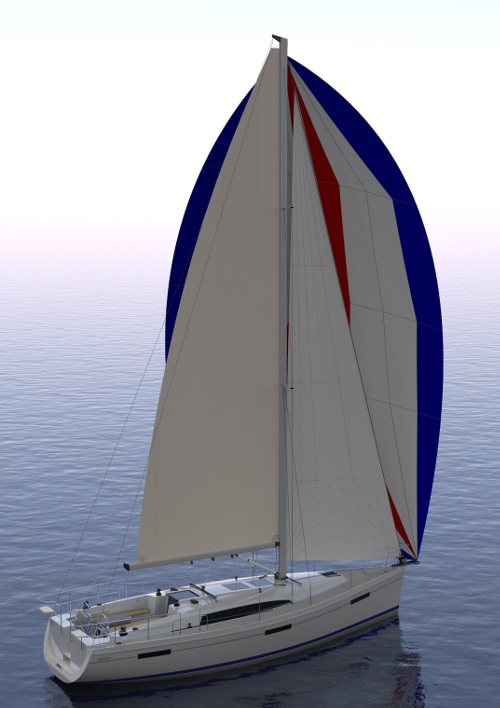 A self-tacking jib and jib traveler are standard, and main and jib sheets are lead to the helm for efficient short-handed sailing. 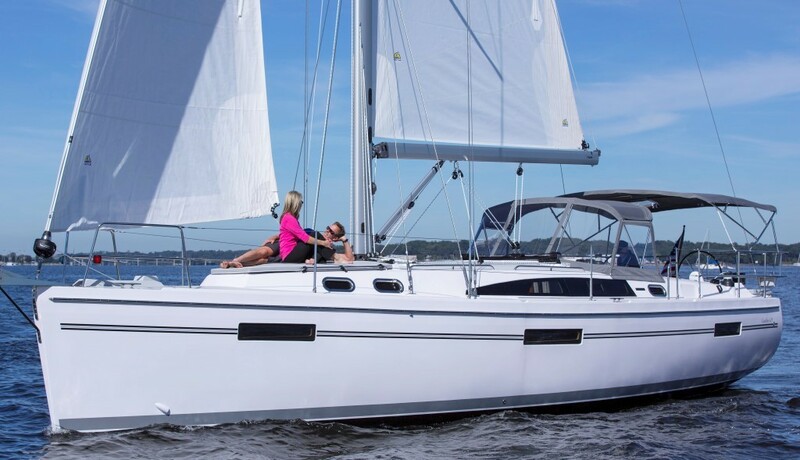 The forward owner’s cabin features a large centerline berth with an elevating adjustable mattress. There are starboard and port aft cabins; the latter is easily convertible to a storage cabin with a gull wing cockpit hatch . A central accessible mechanical space provides excellent access to primary engine, generator, water heater and air conditioners, which simplifies maintenance and inspections necessary for systems reliability. Unique design features include a watertight StrikeZone™ collision bulkhead forward; DeepDefense™ rudder system for failsafe steering and a T-Beam MastStep™ structure, with all the benefits of a deckstepped mast and the strength of a keel-stepped mast. The SecureSocket™ mast support/chainplate system facilitates perfect load resolution and watertight integrity. Knitted fabrics create a stronger laminate without additional weight. 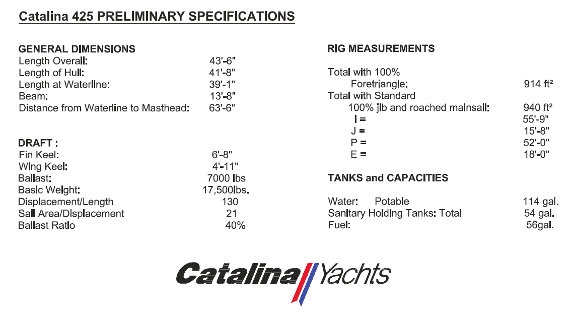 Catalina’s trademark lead keels absorb impact for safety and require less maintenance than other materials. All systems are designed following the recommendations and standards of the ABYC and IMCI to earn the highest rating of Category A – Unlimited Offshore.